The most important factor of any medical environment is the cleanliness of not only your facility, but also the materials that your facility uses. A clean environment coupled with clean materials cuts down on the chance of contamination. In 1991 OSHA published its standards regarding occupational exposure to blood borne pathogens which stated that contaminated laundry may not be sorted or rinsed at the location where it was used, but must be placed in bags or containers that are fluid resistant and specifically labeled "BIOHAZARD." This means employees may not take contaminated laundry home to be washed. From private practices, to surgery centers, to large scale hospital settings, Paramount Linen will customize our services to meet your establishments unique needs, usage patterns, and requests. 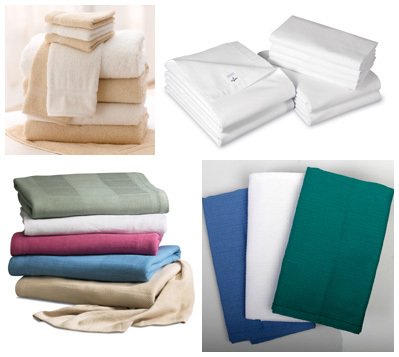 We personally purchase and supply your institution with an inventory of the products that you request, to help you avoid the massive costs that can be associated with purchasing medical linens and garments. We then follow that up by having our highly trained biomedical team members professionally launder those products for you in accordance with OSHA's Universal Precautions. Once your products are cleaned and safely packaged, to avoid airborne contaminants, all of the items are then delivered back to you in a timely and courteous manner by our Customer Service Representatives. We also understand that the needs of our medical clients can fluctuate daily. For this reason we complement our regular delivery process with an office team of service representatives to respond quickly and promptly to any extra linen requests you may have. To take our service one step further, we also employ a 24 hour customer service hotline to meet all of your weekend or after hour needs.